We’ve been working with Victoria Art-Tech Company Limbic media to bring the worlds most advanced audio interactive lighting system to the stage. How do you like them balls? Come instigate an early winter thaw with us!! Distant Grand is releasing our first EP “Fascination”. This EP is the culmination of two decades of exploration of sound, love and friendship. We’re so excited to be sharing the stage with local dance music hero BOUSADA and up and coming Ghost Pop music stars Daemon & Airdrie. Distant Grand is also excited to be exhibiting AURORA! Our new interactive light wall built by Limbic Media.  Here’s a release from Distant Grand‘s forthcoming Ep ‘Fascination’. The song is ‘Sangan’. We’re so excited to be pairing it up with some stunning video work done by Open Earth Check out their site full of amazing footage of North America. It’s Grand. And Distant! Distant Grand, BC’s freshest Electo Soul Duo launched their career with a smooth bang in the spring of 2017. Here’s a look at a few of the stages they made it to across BC.